Description: Sizzix kits include all the pieces you need for a creative crafting project. 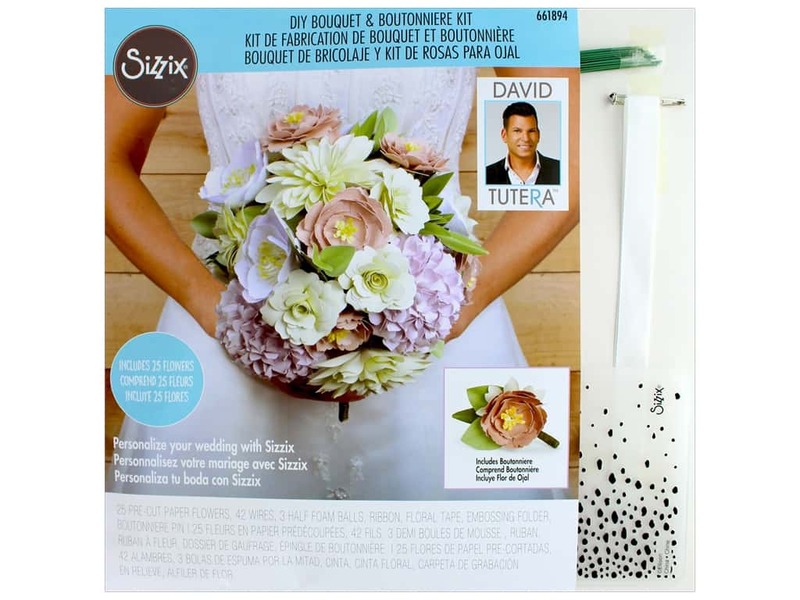 David Tutera DIY Bouquet & Boutonniere- Kit includes 25 pre-cut paper flowers, 14 paper leaves, 42 wires, 3 half foam balls, ribbon, floral tape, A2 embossing folder, a boutonniere pin, and instructions. Approximate bouquet size is 9"x 9"x 12" and boutonniere size is 2.5"x 4"x 1".